The original Harmon Mute was brought to life by Paddy Harmon and perfected at the legendary Dreamland & Arcadia ballrooms in Chicago. 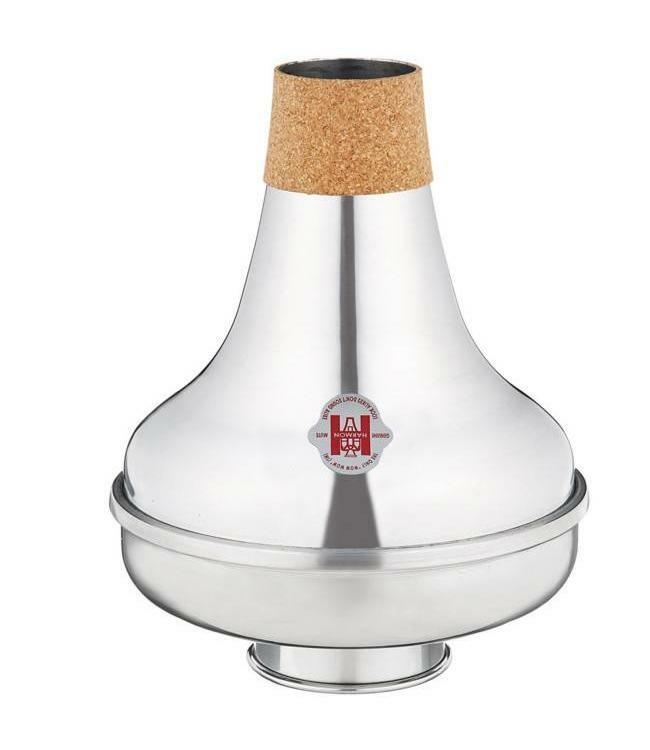 The Harmon Mute Company has been making mutes for brass instruments since the 1920's. Harmon Mutes have captured the imagination of music aficionados across the world through amazing performances from artists like Miles Davis. Today Harmon Mutes are played all over the globe by professional orchestras, soloists, recording artists, and students alike. Based on original designs from the 20's and 30's, Harmon Mutes are produced at a factory in Skokie, Illinois not far from where the brand was born. Each mute is hand-crafted by skilled technicians using a process called metal spinning. Harmon is dedicated to helping modern musicians bring the sounds of the big band era to today's audiences. When you play a Harmon, we want you to feel the joy of making music. While many have tried to imitate, there is only one original Harmon Mute sound. Look alikes don't sound alike. The original Harmon Wow-Wow mute for trombone! Creates that classic Harmon buzz with a unique Harmon sound.